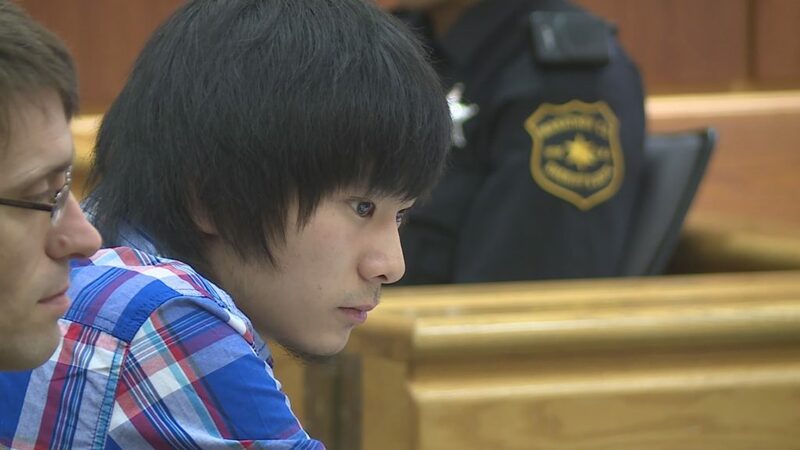 Consider the tragic case of Dylan Yang, a Hmong resident of Wausau, Wisconsin who was 16 when he was found guilty of first-degree reckless homicide. In 2015, he stabbed Isaiah Powell, then 13 and a black Latino boy, after Isaiah and several friends came to Dylan’s house with a BB gun following a Facebook argument. Dylan, not realizing that the weapon was a BB gun, stabbed Isaiah after seeing him jump on top of Dylan’s friend. Sadly, Isaiah died at the hospital. Following the incident, police found more than 10 knives in the vehicle of Nia Phillips, Isaiah’s 19-year-old driver. Dylan was not treated as a model minority. The police refused his mother’s request to accompany him to the interrogation, and then read him his Miranda rights when he was alone, before they had him answer questions without a lawyer present. Dylan then faced a staggering bail of $1 million for being a “flight risk” for simply knowing people outside Wisconsin. How many of us have out of state contacts? He spent a year in de facto solitary confinement after awaiting trial as an adult, yet waited a month without a court-appointed attorney because of a claim of “conflict of interest” since the public defenders were representing the other minors. Nia Phillips was given three years probation and some community service, while the boys accompanying Isaiah were given similar slaps on the wrist. Dylan will serve 13 years in prison. While Dylan took a life whereas the other boys did not, Dylan only did so in self defense and as a minor. His punishment in light of those facts does not fit the act. So much for equal justice under law. And yet, even in the face of this injustice which mobilized national Hmong networks to Dylan’s side as well as community marches, the situation did not deteriorate into minority groups squaring off against each other as happened in the Peter Liang case. In that instance, the Chinese community split and Chinese-black relations suffered. Instead, people from Wisconsin and Minnesota held a “Save our Children community peace march” where they argued that the education and justice systems had failed all the children involved. They not only requested leniency for Dylan, but they also held a vigil for Isaiah. Such concern by people of various communities for each other is what America needs more of today. It is what makes America truly great. If we want a country which can bind the wounds still raw after the recent election, we need to stop scapegoating people. Instead, we must tackle the structural inequalities in education, employment, the criminal justice system, and other areas that consign people to the status of second-class citizens. If we take away anything from the case of Dylan Yang, it is that the messages we send to individuals and communities through our public institutions have profound implications. President Obama’s actions on AAPI concerns were unprecedented in their scope, but there are still many challenges which can only be effectively tackled at the ground level in the counties and courts. What does the Hmong community think when in another Wisconsin county, 43-year old Kevin Elberg, charged with felony “aggravated battery with the intention of bodily harm” for beating Hmong hunter Sao Lue Veng, age 63, to the point of sustaining internal bleeding and a lacerated liver, has his charges amended to “misdemeanor battery” and only serves 10 days in jail? Or how about the case of Wisconsinite Dan Popp, 39, charged with “first degree intentional homicide” for killing both a Hmong couple and a Puerto Rican father, whom only had bail set at $150,000? Don’t the lives of Hmong people have value? Judging from the actions of the government and the courts, one would be easily forgiven for thinking they do not. For all the suffering marginalized AAPI groups such as the Hmong face, their stories rarely make it onto national news. They are certainly not in the national consciousness – I can attest to that. Before I entered university, I had not heard of the group. But their stories, just like those of many other rarely mentioned AAPI groups such as Samoans, Laotians, and Vietnamese deserve to be heard. When poverty, language barriers and other obstacles contribute to the 726 percent increase in arrest rates of AAPI youth in the US from 1977-1997, and where in cities such as Oakland, California, Samoans have the highest arrest rates in the city at 140 per 1000 followed by the Cambodians and then the Laotians, we have a problem which requires a conversation. When the state of California only started keeping track of AAPI inmates in categories more detailed than “Other” in 2013, thus implicitly communicating that their experiences were not even worth a statistic, we need to ask how we can expect people to believe in America when the government treats them as less than full citizens. When much of the country buys into the myth of the Model Minority, we need to open its eyes to the harsh realities faced by many minorities. I cannot claim to speak on behalf of all AAPI, especially since I come from a modestly well-off Chinese American family. And let me be clear: I am not here to educate you. In a country with both rugged individualism and the belief in the nation as a community as its ideals, it is up to the people themselves to learn more about the other peoples of their nation. But what I will do, and what we can all do, is help share and value the experiences of the forgotten Americans. Wing was raised in Virginia by parents who immigrated here from Shanghai, and currently attends Yale University. He enjoys learning about the world around him and working for the goal of equal rights and opportunities for all Americans. Wing particularly enjoys Durian flavor ice cream.